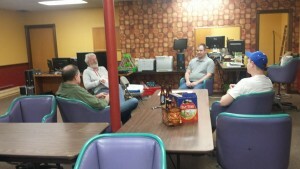 Friday night at MT Space, beverages and conversation. We are trying to hang out on Friday nights at MT Space for the next couple of months to promote the idea but also to build some community for people who are not totally into the whole nine to five thing. Come and join us.